Our NAATI translator services are among Iran’s most trusted when it comes to certified document translations for immigration, education or business translations. We provide a NAATI certified translations service for individuals, Iranian businesses, large firms and government bodies. With over 100 major corporate clients and hundreds of private jobs completed every month, we can help you getting your document translated to the NAATI accreditation standards. Based in Tehran, we are one of the oldest language services agencies in Iran. Our extensive experience and quality assurance is what sets us apart. Our team can provide professional Persian translation services, Korean translation services, Arabic translation services and services in over 50 other languages. If you are using you are getting documents translated for immigration, educational or professional purposes, make sure you get a Justice of the Peace to certify your document translations. get a free quote, we usually provide you with a quote within the hour. Make sure to include the word count and target language for your translation. 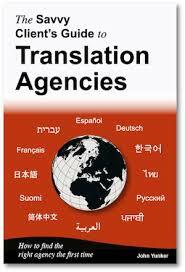 Or contact Nicolas directly, our translations coordinator, about your needs or for additional information.